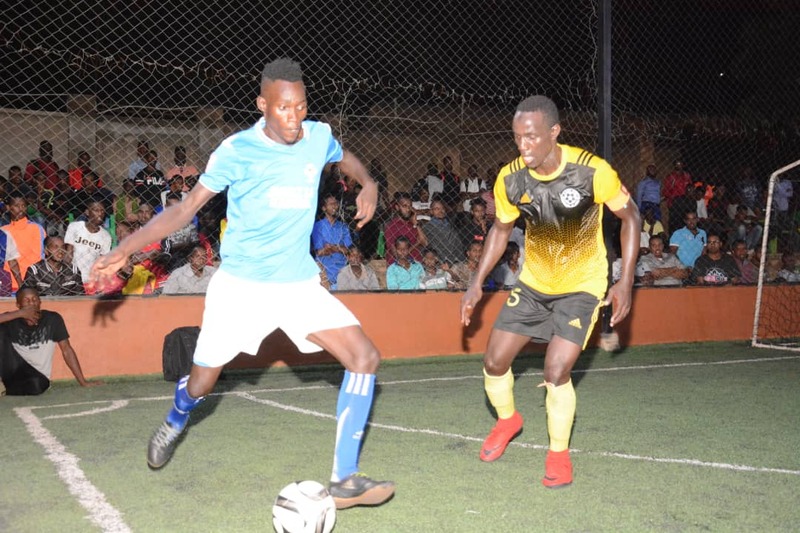 MENGO – The Futsal Super League will continue at the International Futsal Courts in Mengo with 7 games, on Thursday night. Leaders Yeak Kabowa will take on Bajim at 9 pm in one of the fixtures lined up on the night. After a temporary set-back, Yeak have bounced back in style, winning their last two games and will start the day 4 points clear at the top of the standings. Last week, they walloped Kabowa United 6-1 to once again assert their intentions of winning a first League title. Their opponents Bajim who currently sit 7th on the standings will not be no pushovers at least. Bajim have of late have taken on a trend of coming back from the dead. Last week, they came from 3 goals down to defeat Parakeets 5-3 in a thrilling game that left many with their mouths open. It was their second remarkable comeback in 3 games after doing likewise in a 6-6 draw with Typhoon three weeks ago. Led by Captain Derrick Mubiru, they will fancy their chances against the leaders. “We know how good Yeak have been all season but we also know what we can do, said Mubiru ahead of Thursday’s game. “It will not be easy for us but we will not make it any easy for them. “The key here is trying to shut them out and also try to score at the other end. For defending champions Dream, they are in desperate mood at the moment. Two points from their last three games including a 3-3 draw against Typhoon last time out have left them 5th on the standings, 11 points off the pace. However, this has not stopped them from believing they can retain the title they won last year. “The last couple of weeks have not been for us as we have failed to win any game, said Dream Captain Jamal Muyingo. “We have dropped further down the table and title race but we will keep believing. “Our role is to win our remaining games and pray the teams ahead of us most especially the top two drop points. “Every remaining game is a final of sorts for us and we will try to win them all starting with the one against Aidenal. Aidenal on the other hand look to be gaining momentum of late. However, last week, they lost 4-1 against Nomad, their first loss in three. The loss to Nomad left them in 11th, three points behind 10th placed Mengo City. At 7pm, second placed Park will do battle with Mengo City. Park find themselves four points off the pace going into the business end of the season and know that they have no more room for error. Last week, they were held to a 2-2 draw by Crown, in a game they required a late Iddi Babu penalty to steal a point. Coming up against Mengo City, Park will be expected to win but like the trend all season, nothing is guaranteed until the sound of the final whistle. The other day’s games will see Kabowa United take on Crown, Nomad entertain Equator, Yap Stars play Parakeets and Elephants lock horns with Typhoon. Yeak Kabowa’s Enock Ssebagala leads the scoring charts with 30 goals, two ahead of teammate Shaffic Avemah.